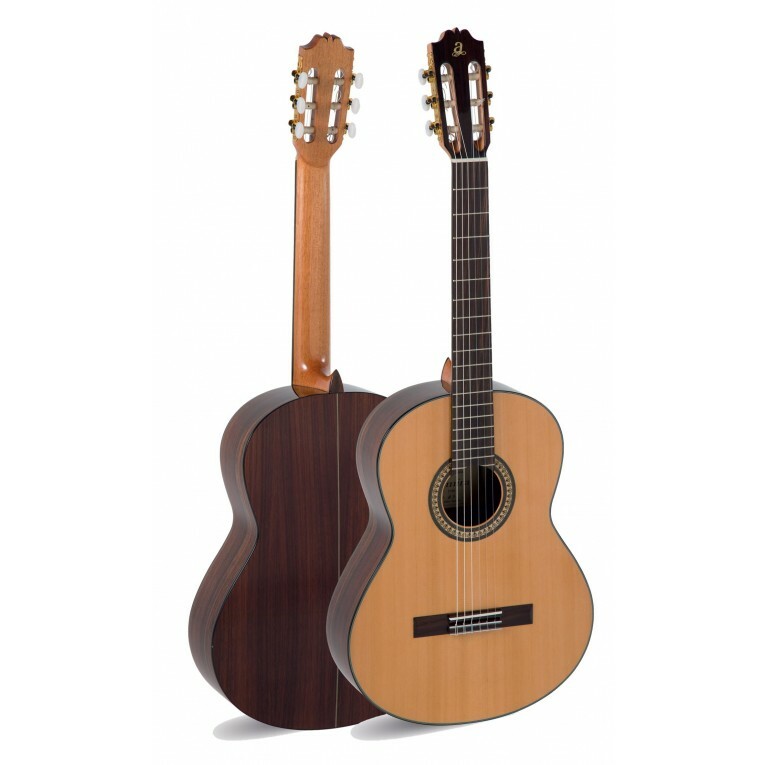 The new guitar Admira A5 is one of the beginner guitar models with better value for money in the market. Made in Spain with quality woods, in these new guitars, Admira has sought to combine a good sound with good comfort when playing. The Admira A5 has a very competitive price. The construcction system uses the "Spanish heel." 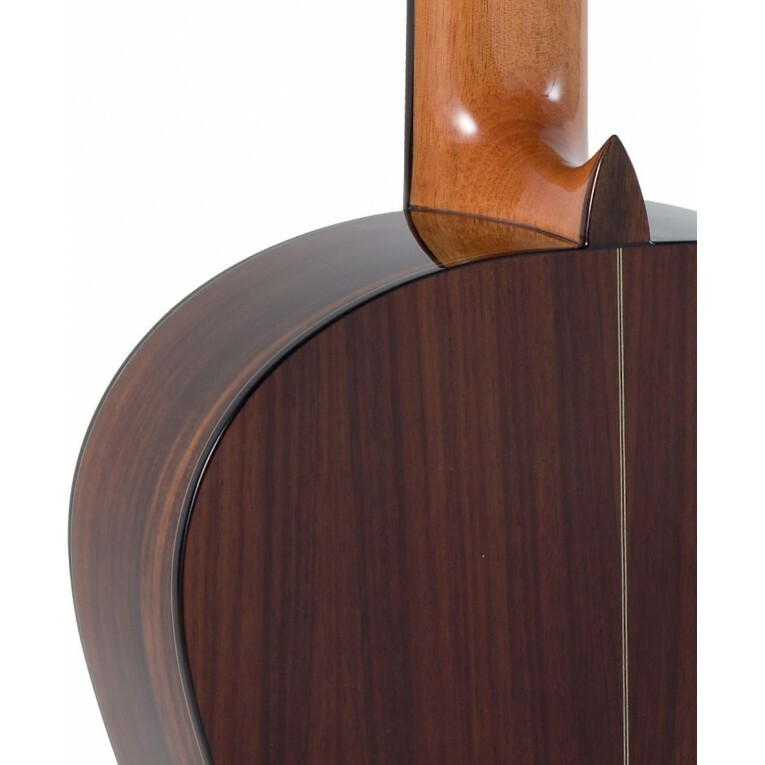 A mast assembly system with the body of the guitar that guarantees high stability, increased volume and greater sustain. 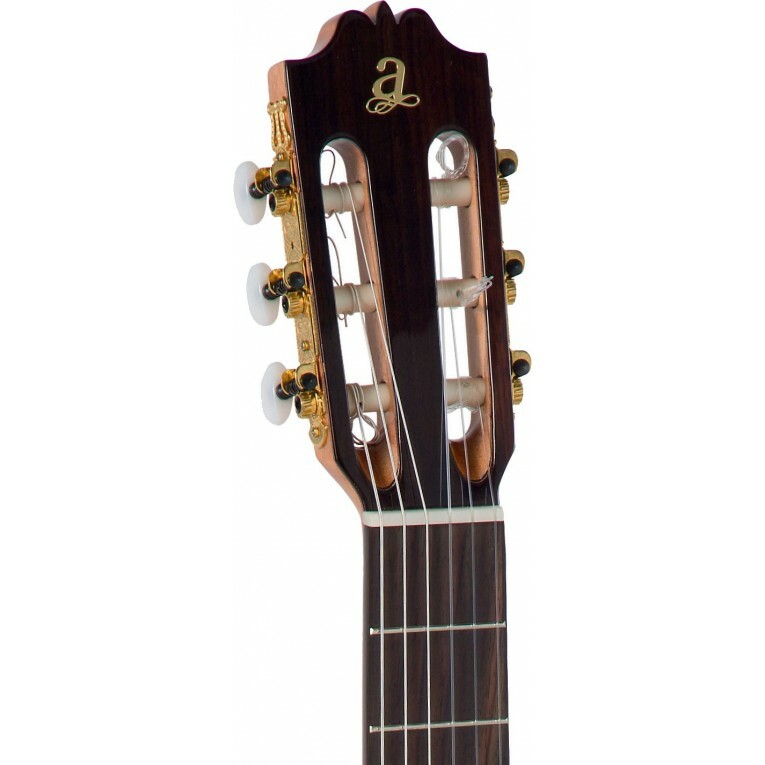 The Admira A5 guitar features a solid cedar top, Indian rosewood back and sides, valances at the top and back, mahogany neck with rosewood fingerboard, gold tuners, strings Savarez CJ500 and glossy finish. Estimated shipping cost for a guitar packaging with or without case. For smaller items or guitar accessories only, please contact us. Full insurance included in the shipping cost. All taxes included for deliveries to countries within the EU. The Wittner 996-CL guitar capo is made for classical guitars , flamenco guitars or any other guitars with flat fingerboard . The Wittner 996-CL is made of "Space Age" composite material, very light and ultra-strong. With an outstanding precision and ease of use, this professional guitar capo is a great choice for the performing guitarist . Width: 60mm/2,34"
The Hercules FS100B Footrest for guitarists, has a 20% larger foot rest plate for comfortable and solid support, 5 positions to adjust the height and angle of the foot rest and is s turdy and durable. 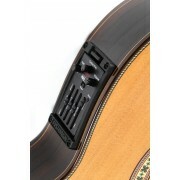 The TAYE TE-2004 Footrest for guitarists is an inexpensive classic footrest made of steel with various positions to adjust the height and angle of the foot rest. S turdy and durable. A guitar’s fingerboard is often overlooked while cleaning, but this is a part of the guitar that collects a good amount of dirt, grime and sweat. The Dunlop 6502 fingerboard care kit includes 6524 Fingerboard Cleaner , 6532 Deep Conditioner Oil , Micro Fine fret polishing cloth, 100 percent cotton polishing cloth, and care instructions. 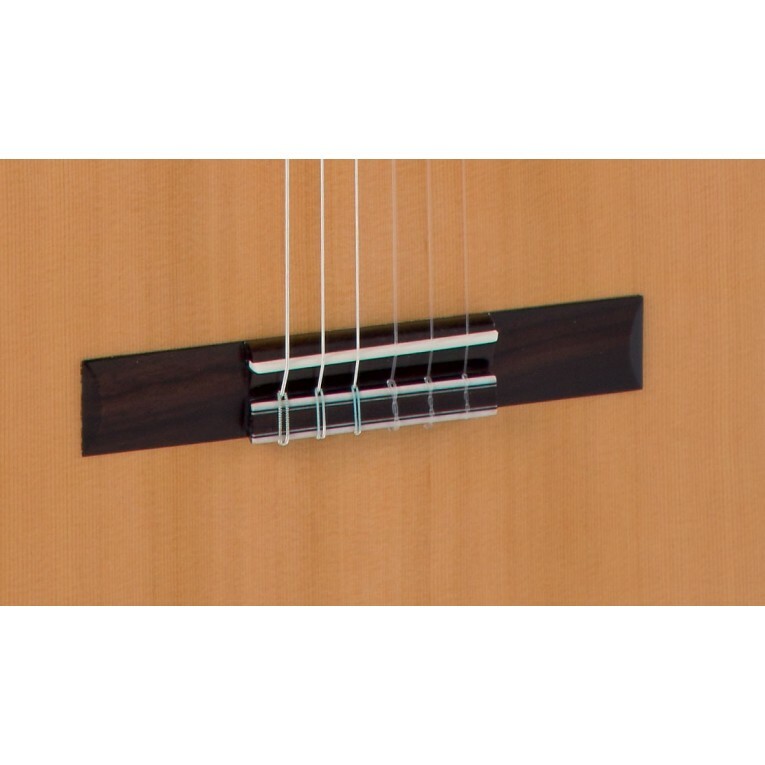 The classical guitar strings Royal Classics SF70 - High Tension , offers high tension silverplated basses with Sonata projection and comfort along with homogeneus high tension trebles. Royal Classics strings are made in Spain with the best materials available, and with the classical and flamenco guitarist in mind. The classical guitar strings Royal Classics CNL40 - High Tension - Carbon + Nylon combines high tensión basses with the 2nd and 3rd string made of "carbon" and the 1st string made of Crystal (Nylon). Royal Classics strings are made in Spain with the best materials available, and with the classical and flamenco guitarist in mind. The Cibeles C800.225W wooden foot rest for guitarists is a classic foot stool nicely crafted in wood with 5 positions to adjust the height and angle of the foot rest. Beautiful, sturdy and durable. Carry bag included. 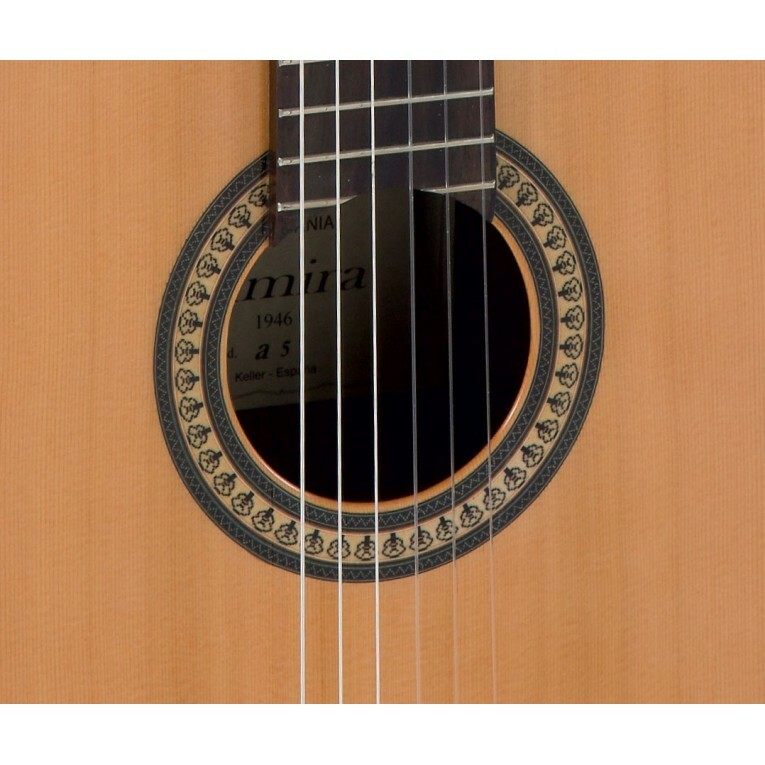 The classical guitar strings D'addario EJ45FF, normal tension, features Pro-Arté Carbon trebles and Dynacore basses for unsurpassed superior intonation with the perfect blend of tone, brightness, and projection. The classical guitar strings D'addario EJ46FF, hard tension, features Pro-Arté Carbon trebles and Dynacore basses for unsurpassed superior intonation with the perfect blend of tone, brightness, and projection. The guitar tuner KORG GT4 is a dedicated guitar and bass tuner that automatically detects an instrument's pitch and offers simple operation. With a large note name display in the center and red LEDs that rotate in a circular pattern, it is a revolutionary tuner with superb visibility. The Wittner 836 Taktell Piccolo is a small pocket size metronome in a durable plastic case with a snap on cover. Size: 6"h x 2 3/4"w x 1 5/8"d. Precision performance equal to a full size metronome. Made in Germany. Range 40 to 208 beats per minute. The Korg TM50 Combo Tuner Metronome allows you to use the tuner and metronome simultaneously. Since this single unit is all you need for both pitch and rhythm training, it has become a favorite lesson tool for brass bands as well as many other types of musicians.